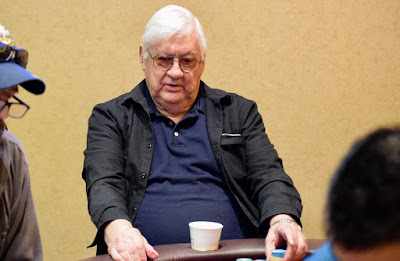 George Cabrey, Al and Sharon Sanchez, Paul Brown, Gary Tanko, Dermot Lyons, Scott Long are among the players taking a run at adding $25 bounties to their poker bankrolls with one level down in today's $125 Event 4 in the Ante Up NorCal Classic. Registration and a single re-entry per player is available until 1:15pm - the start of Level 7. Start with 10,000 chips and play 20-minute levels today.